Designed to accommodate a variety of sizes of file folders. Additional side pocket for active files. 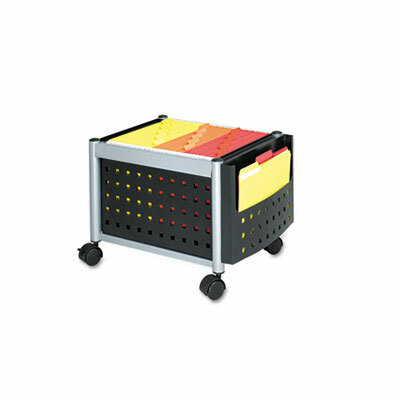 Functional, versatile file cart designed to accommodate letter or legal size file folders. Additional side pocket for easy access to active files. Tuck under most worksurfaces when not in use. Click here to see more File Cabinets! Overall Width: 19" Overall Depth: 14 3/4"